"This book will have you on the edge of your seat!" Two teenagers discover that tampering with history can have tragic results! Fourteen-year-old Jason Stillwell has a bad feeling about letting Carleton Blake into the archives after hours, but he has no idea just how bad things will get. When the school’s most dangerous bully shows up, convinced that Jason is trying to steal his girlfriend, their fight causes Jason to do just that: ‘steal’ Melissa—all the way to 1889! Now Jason and Melissa have lost the chronolabe—the mysterious device that brought them here—and must get it back or be trapped in the past forever. But the Lendrith want the device as well, and the struggle to escape two demons becomes a struggle to survive. 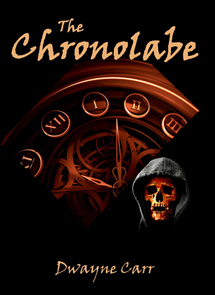 "The Chronolabe" is yet another excellent book by Dwayne Carr. I finished it in one day, and loved every single minute of it. The author does a very good job of blending historical fiction, adventure, and the battle between good and evil. This book will have you on the edge of your seat, wanting to find out more, and even trying to talk to the characters. I highly recommend this book! You will enjoy reading this from cover to cover. I look forward to reading the next book in the Guardian Chronicles!" "If you are a fan of Peretti, Lord of the Rings, and/or The Chronicles of Narnia, you will enjoy this book. Two thumbs way up!" Cosmic evil and everyday faith collide in The Basilisk Plot, a fast-paced adventure that engulfs humans, angels, and demons in deadly conflict. For thousands of years the demon Zhoul—known to his followers as the Basilisk—has prepared a plan that will kill millions of humans in one swift blow. Now his foolproof trap is ready to spring. But Zhoul hasn’t counted on Michael Wayde. Michael’s life is outwardly normal—despite having an angel for a father—until the angel Arcadis arrives with a mystical stone, the Flame Star, that transports Michael between the dimensions of humans (Tertia) and angels (Primus). Soon Michael is caught up in a deadly plot that spans both worlds: in the human dimensions Michael searches a sinister corporate complex for clues to a murder, while the killer tries to make Michael the next victim. Michael’s discoveries lead him back to Primus where millions of souls are being herded together for slaughter. Now the race is on to stop Zhoul before he can unleash his rage against unsuspecting mortals. Michael has the proof he needs to expose the Basilisk Plot, but his proof is hidden deep inside the Basilisk’s own fortress! And, as Michael learns, battling a demon isn’t easy, especially when your only helper is an angel who refuses to fight. 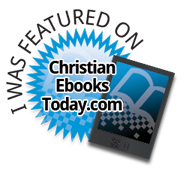 Michael plunges into a desperate battle that challenges his wits as well as his faith. Along the way he learns the reality of God’s sovereignty, and Arcadis discovers the mystery of God’s grace. The Basilisk Plot will remain vivid long after the last chapter—a must-read for anyone who loves adventure, suspense, and rugged Christian faith. A good, no make that an excellent, read. The story, the style of writing, and the action was compelling. I wanted to keep reading until I finished the book. This is a really good story of good versus evil and it looks most of the time as if evil will triumph. We get to see the characters of the book discover new facets of their character and to see them grow spiritually. I normally don't read Christian fiction but took a chance with this book. Themes of good and evil abound and it is Michael's belief in Christ, as shaken as it gets at times, that sees him through the tale and even sees the redemption of others. A short, encouraging read I would recommend for all ages! Readers who enjoy Frank Peretti's "Piercing the Darkness", C.S. Lewis, or J.R.R. 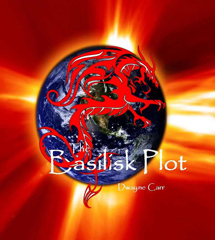 Tolkien will also be fascinated by "The Basilisk Plot" by Dwayne Carr. Riveting reading of angels, demons, and humans, but be forewarned: don't drink the water! A particularly good book for young adults. I heartily recommend that you get this book for your library, or even for your church library. 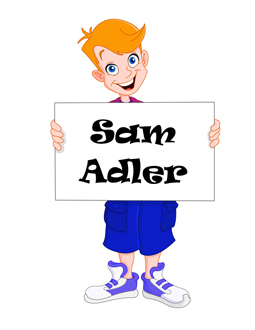 Sam Adler is a wild-haired fifth grader with a vivid imagination. Somehow, though, his heroics on the planet Thrae always translate into real-life lessons on planet Earth!